The hand-drawn parallel lines from a drawing by the brothers Ronan & Erwan Bourroullec adorn the bag, which is made from 100% cotton canvas. The Rivi canvas bag is suitable for everyday use, grocery shopping or to transport books and other objects. 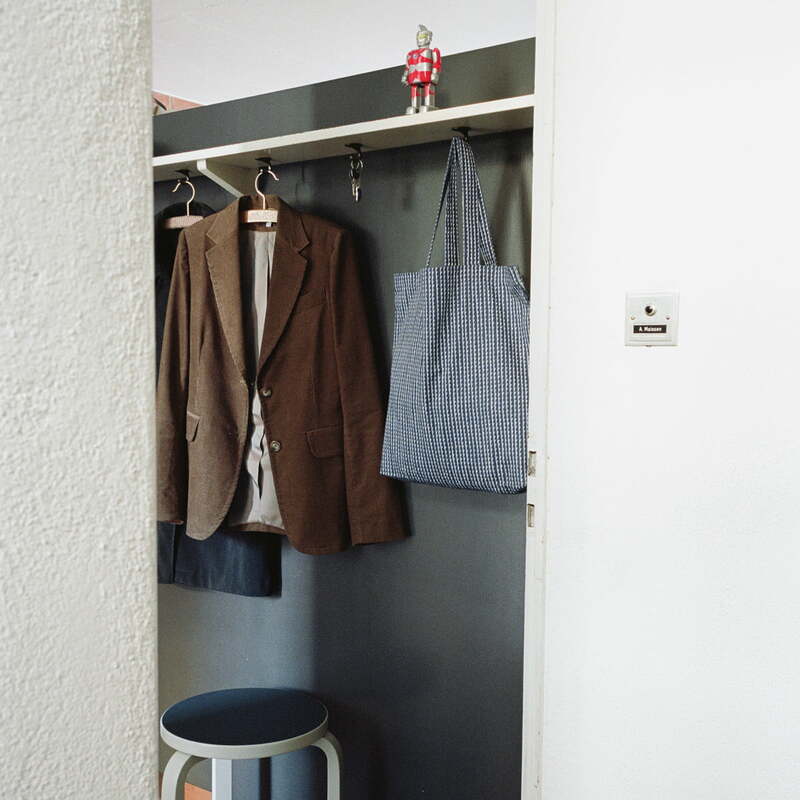 Made of flexible cotton, the bag can easily be folded up and stored in a space-saving way. 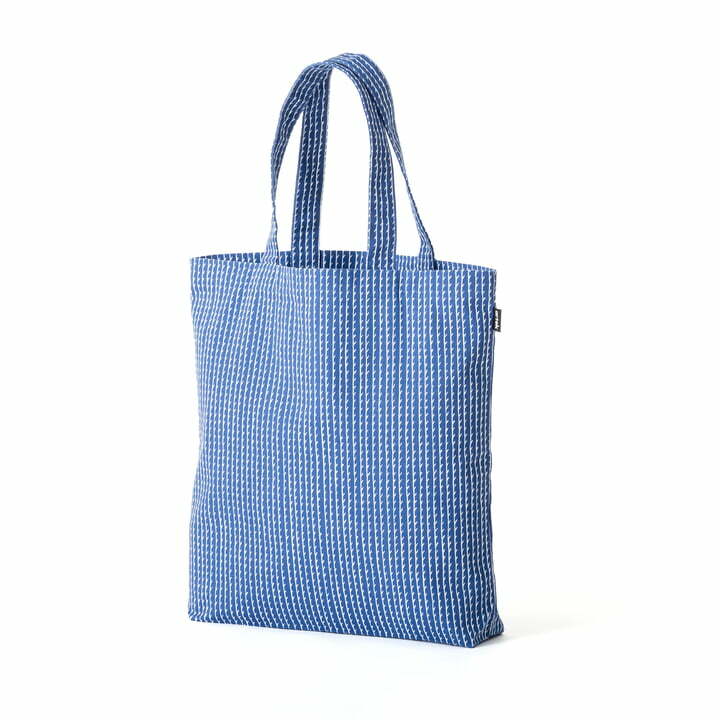 The Rivi fabric bag is part of the Artek series of textiles and accessories of the same name, featuring the hand-drawn pattern (Rivi finn Linie). Single image of the Rivi canvas bag by Artek in white and blue. The Rivi pattern is the first textile design by the brothers Ronan & Erwan Bouroullec for Artek. The Rivi canvas bag by Artek convinces with a painted pattern by the brothers Ronan & Erwan Bourroullec. 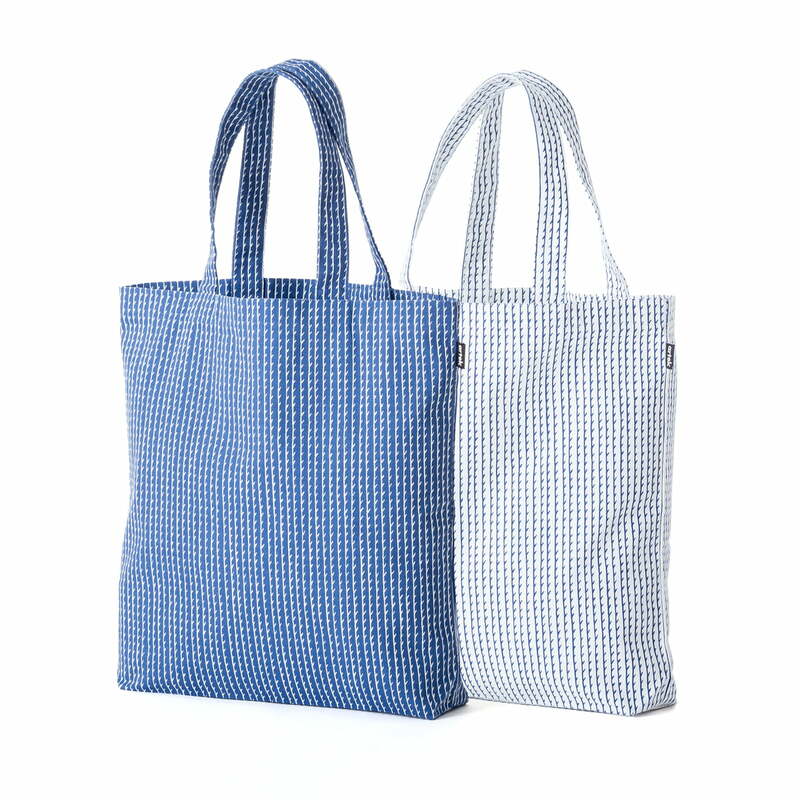 The hand-drawn parallel lines from a drawing adorn the bag, which is made from 100% cotton canvas. The fabric bag belongs to a series of objects that are decorated with the accurate yet playful motifs. Rivi - Finnish for "Line" - transfers the parallel lines and extends them in both directions to the infinity.